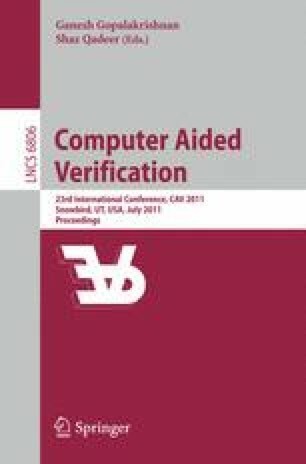 CVC4 is the latest version of the Cooperating Validity Checker. A joint project of NYU and U Iowa, CVC4 aims to support the useful feature set of CVC3 and SMT-LIBv2 while optimizing the design of the core system architecture and decision procedures to take advantage of recent engineering and algorithmic advances. CVC4 represents a completely new code base; it is a from-scratch rewrite of CVC3, and many subsystems have been completely redesigned. Additional decision procedures for CVC4 are currently under development, but for what it currently achieves, it is a lighter-weight and higher-performing tool than CVC3. We describe the system architecture, subsystems of note, and discuss some applications and continuing work. This work partially supported by the NSF (CCF–0644299, CCF–0914956, CNS–1049495, and 0914877), AFOSR (FA9550–09–1–0596 and FA9550–09–1–0517), SRC 2008–TJ–1850, and MIT Lincoln Laboratory.